Peter A. Levine, PhD, holds doctorates in both medical biophysics and psychology. The developer of Somatic Experiencing®, a body-awareness approach to healing trauma, and founder of the Foundation for Human Enrichment, he conducts trainings in this work throughout the world and in various indigenous cultures. Dr. Levine was a stress consultant for NASA on the development of the space shuttle project and was a member of the Institute of World Affairs Task Force of Psychologists for Social Responsibility in developing responses to large-scale disasters and ethno-political warfare. Levine’s international best seller, Waking the Tiger: Healing Trauma, has been translated into twenty-two languages. His recent interests include the prevention of trauma in children, and he has co-written two books, with Maggie Kline, in this area: Trauma Through a Child’s Eyes and Trauma-Proofing Your Kids. Levine’s original contribution to the field of Body-Psychotherapy was honored in 2010 when he received the Life Time Achievement award from the United States Association for Body Psychotherapy (USABP). For further information on Dr. Levine’s trainings, projects and literature, visit www.traumahealing.com and www.somaticexperiencing.com. 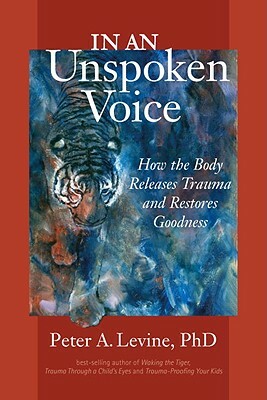 "With this book Peter Levine secures his position in the forefront of trauma healing, as theorist, practitioner, and teacher. All of us in the therapeutic community—physicians, psychologists, therapists, aspiring healers, interested laypeople—are ever so much richer for this summation of what he himself has learned."